“The Chison ECO3 is a widely acclaimed black-and-white ultrasound featuring advanced imaging technologies and an easy, intuitive interface for optimal use and performance. The ECO3 is also one of the few non-color ultrasounds to include Pulsed Wave Doppler, meaning that it provides high-quality measurements of both direction and velocity of blood flow. As a compact, robust ultrasound system, the ECO3 is designed for portability, and physicians can take advantage of its durability, lightweight design, one-key quick save for on-the-go imaging. This ultrasound also has several measurement packages, pre-set for OB/GYN, urology, abdomen, cardiac, and pediatrics. A rotatable (0-30 degrees), 12-inch LED screen that provides a crisp image, better for easier and more accurate diagnoses. The ECO3 is one of the easiest-to-use black and white portable ultrasounds. 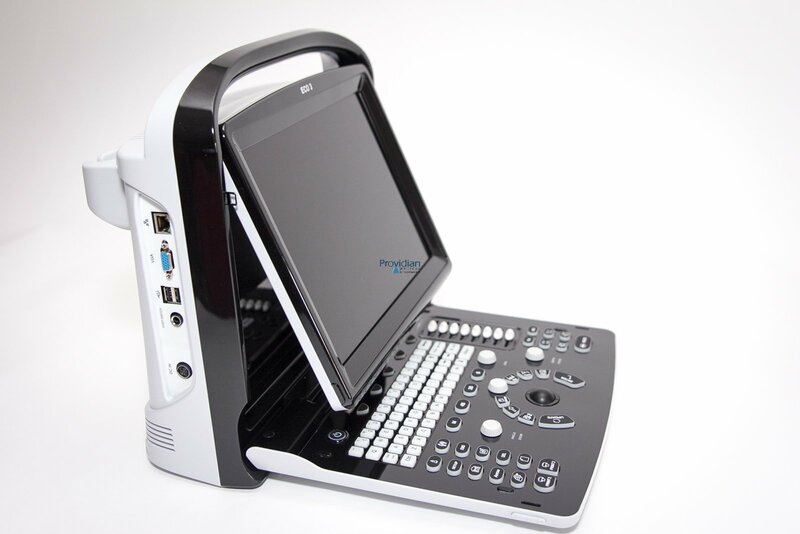 Couple it with the good image quality, variety of probes, pulsed wave Doppler and warranty, the ECO3 is very competitive in the market and should be considered among your top choices when purchasing a new black and white portable ultrasound machine.